A new spot for fusion sandwiches and snacks has debuted in the Tenderloin. The fresh addition, called Paper Rooster, is located at 670 Larkin St. in the former brick-and-mortar space of beloved food truck The Chairman. As we reported earlier this month, owner and San Francisco native Stanley Yee is featuring his "playful" take on fast-casual chicken sandwiches, while paying homage to the Chinese ingredients he grew up with, like XO sauce and hoisin mayo. There are vegetarian options, too. Yee hopes to expand its operating hours in the coming months. But for now, it's lunch only. With a 4.5-star rating out of seven reviews on Yelp, Paper Rooster is no paper tiger. Yelper Kevin K., who reviewed the new spot on December 17, wrote, "Absolutely loved the food! It was nostalgic with familiar Chinese flavorings but in sandwich form -- such an interesting twist that I'm surprised there aren't more places like this." "The Emperor Sandwich was delicious -- tender breast meat, fresh veggies, and nicely toasted torpedo roll from Panorama Bakery. 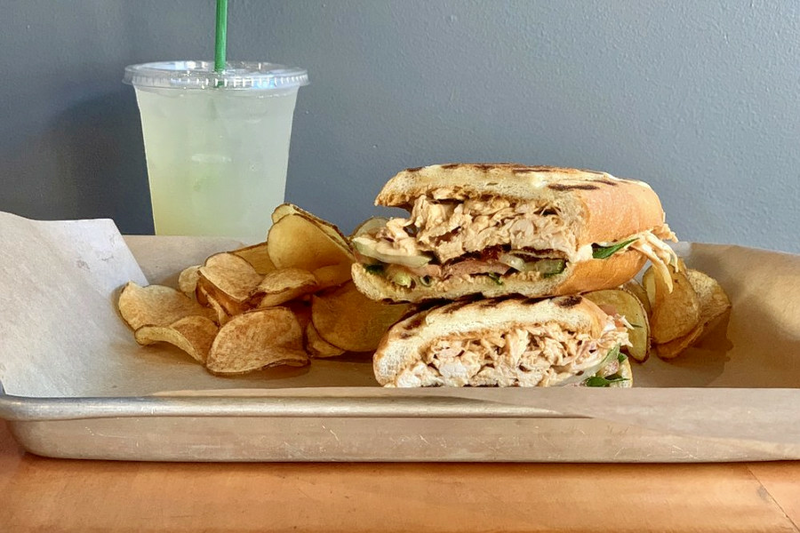 What made the sandwich were the crispy chicken skin and the hoisin mayo for a fantastic crunch and savory sweetness," Yelper Cherylynn N. agreed. "I told myself I would only eat half and bring the rest back to work but I ended up inhaling the entire thing."